Whether it be Boses, Banerjees or Tagores, Bengalis take immense pride in their contribution to art and culture. 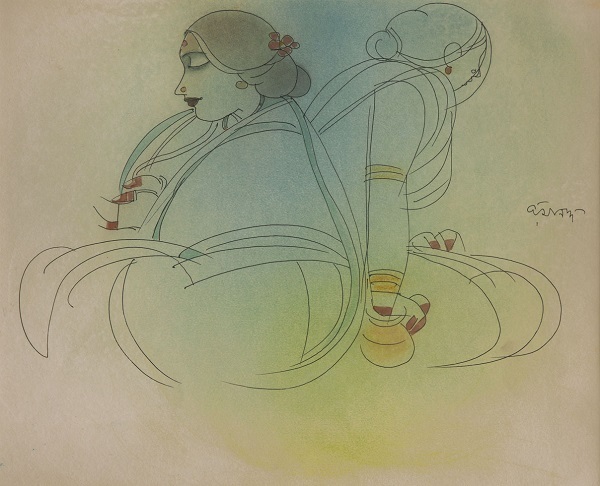 And in this very vein, Gallery Sanskriti, to celebrate its silver jubilee year, presents an exhibition titled Nayika. The show, the second of the art space’s anniversary exhibitions, brings together recent works by celebrated painters Lalu Prasad Shaw and Ramananda Bandyopadhyay. The former specialises in portraits of men and women, with focus on their facial features, and his canvases are characterised by the use of bright colours. Bandhopadhyay, who studied under emiment artist Nandlal Bose, is known as well for his contemporary, and sometimes slightly whimsical, works. 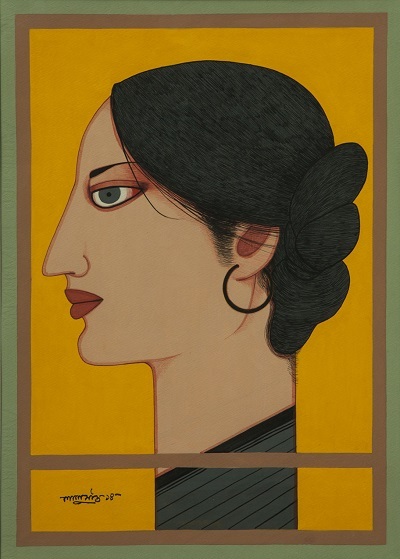 Lalu Prasad Shaw Mostly known for his portraits of Bengali women, Babus, and couples, Shaw’s works focus on his subjects’ physical characteristics. 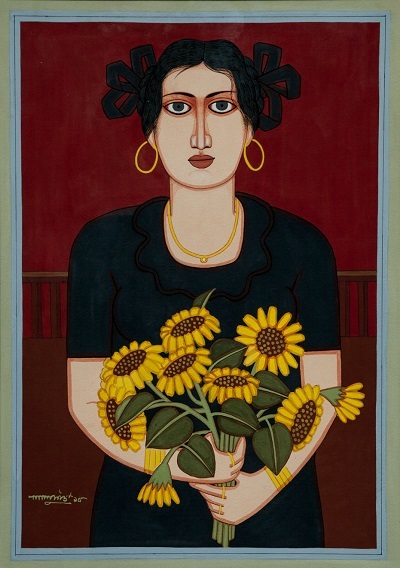 Displaying mastery of line and colour, each of Shaw’s paintings bring out his talent as a painter and print maker. 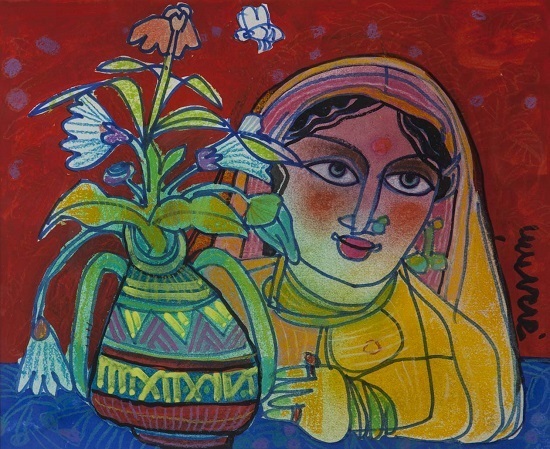 Ramananda Bandhopadhyay Lyrical and romantic, his paintings have a radiant innocence that is strongly reminiscent of an earlier era. However, all his paintings are contemporary in style and technique, thus giving Bandyopadhyay’s canvases the best of both worlds. 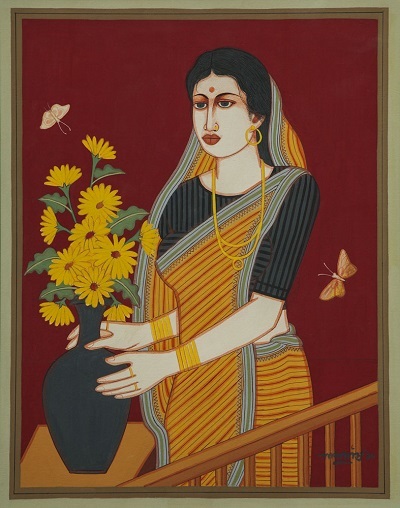 The artist lives and works in Kolkata. 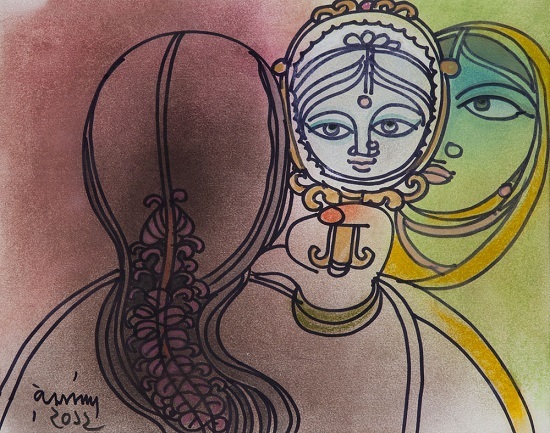 Nayika is on display at Gallery Sanskriti, Kolkata (5C, Alipore Park Road) until May 15, 2015.